Editor’s note: The 2017 changes are still in effect in 2019. According to Ellie Mae, more lower-credit FHA applicants are being approved. In July 2016, only 19% of closed FHA loans were for borrowers with a score of 600-649; by December 2017 that increased to 23.6%. Additionally, FHA loans for borrowers with a score of 550-599 increased to 5.25% from 3% for the same date range. In light of this, lower-credit score borrowers may want to consider a FHA loan, especially if you’ve been denied in the past. Check your FHA home buying eligibility here. Thanks to a new FHA policy, lenders appear to have started reducing their FHA minimum credit score requirements in 2017, opening homeownership to thousands more home buyers. FHA loans have helped untold thousands of home shoppers complete their purchase despite low to average credit scores. 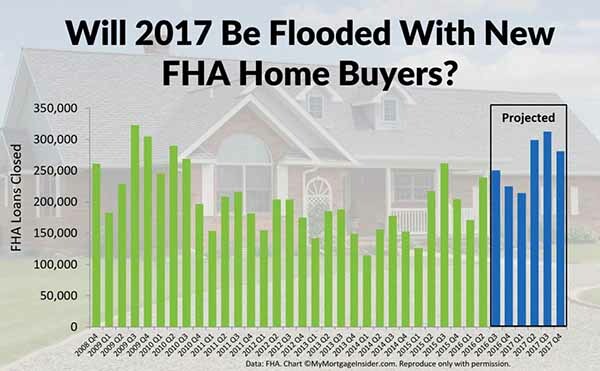 Now FHA has implemented a policy that may open the floodgates of new home buyers rushing into the market. Analysts predict the change could allow 100,000 additional families per year buy a home with an FHA loan. Since its inception in 1934, the FHA loan program has assisted more than 40 million families buy or refinance property. Its extreme popularity is a direct result of its flexibility. The program was built from the ground up to promote homeownership among a portion of the population that would not otherwise qualify. Click here to check your FHA homebuying eligibility. Without FHA, millions of homeowners would be stuck renting years longer than they should. Yet, there is still room for FHA to expand its capacity to serve more aspiring homeowners. Click here to check your FHA eligibility now. Banks and mortgage companies that offer FHA loans are not required to follow FHA guidelines to the letter. These are private, for-profit companies that simply approve loans based on guidelines provided by a government agency, namely the Federal Housing Administration, or FHA. Most if not all lenders across the country impose tougher guidelines for FHA loans than does FHA itself. It doesn’t seem to make a lot of sense until you realize that FHA penalizes lenders for approving too many bad FHA loans. Yes, FHA actually penalizes lenders if they approve borrowers who default months and years later, even if the loan fits perfectly within FHA’s published guidelines. A borrower applies for a loan and is approved based on FHA’s guidelines. Six months later he loses his job and can no longer make his payment. FHA records that bad loan on the lender’s record. Too many bad loans, and FHA could revoke the lender’s ability to offer FHA loans. That could put some mortgage companies out of business. Statistically, borrowers with lower credit scores default more often. That’s why most lenders require a higher minimum credit score than does FHA. Click here to see if your credit score is high enough to buy a home. Most lenders require a score of at least 620-640. But that number could drop closer to FHA’s published minimums because of the new policy. What was FHA’s Policy Update? FHA added another layer of evaluation to their current method of identifying high risk lenders. FHA’s sole method was to compare an FHA lender with other FHA lenders in the same geographical region. This is known in the lending world as the FHA “compare ratio”. If a lender had 150% more late-paying loans than other area lenders, it was at risk of getting kicked off the list of FHA-approved lenders. Many banks and mortgage companies had a problem with this method. If nearby lenders had tougher FHA qualification standards and therefore a better book of loans, other area lenders would look comparatively worse. In theory, an FHA lender could be shut down because the FHA lender across the street raised its minimum credit score requirement from 640 to 680. This can and did lead to an escalation of sorts – lenders raised their minimum FHA credit score requirements as high or higher than their competitors. FHA’s own policies counteracted its mission to provide access to homeownership to less-than-perfect borrowers. While FHA is not ending the “compare ratio” method altogether, it is adding another layer of evaluation. How will this help borrowers with lower scores? The lender won’t be at risk of losing its FHA credentials if its lower credit score loans are performing similarly to loans within the same credit score bracket. In addition, the comparison will be made nationwide, not just in the lender’s geographical region. Here’s how it might look in real life. Lender X issues 100 loans to borrowers, all with scores below 640. Three borrowers eventually stop making their payments, giving Lender X a “bad loan” rating of 3%. Lender Y across the street issues 100 loans to borrowers with scores above 680. Only one doesn’t pay his mortgage, giving Lender Y a default rate of 1%. Under the old rules, Lender X might be in trouble. His “compare ratio” is 300% – double the acceptable level. At this point, Lender X raises its minimum FHA credit score to 680. Under the new rules, Lender X might be just fine, because FHA compares its default rate to the national average for loans with credit scores below 640. Now, Lender X can continue helping underserved home buyers, in tune with FHA’s core mission. Check your eligibility and current FHA rates here. When Can Lower Credit Score Borrowers Apply for FHA? Whenever a new policy rolls out, lenders are slow to adopt it. They want to examine results when other lenders implement new guidelines. Typically there’s a step-down effect across the lending landscape. One lender will slightly loosen guidelines, followed by others. If the new standards work, lenders loosen a bit more. Lower credit home shoppers should get multiple quotes and call around to multiple lenders. One lender might be an early adopter of new policies, while another waits to see results from everyone else. 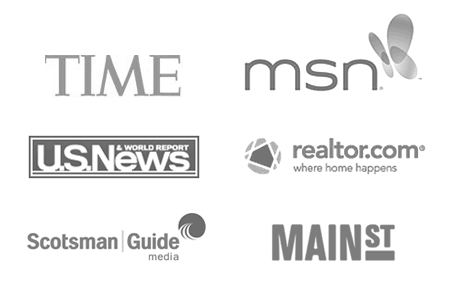 Click here to see if you are eligible to buy a home now. Despite when lenders adopt FHA’s new policy, there is strong reason to believe that they will. Thousands of renters who have been locked out of homeownership due to an imperfect credit history could finally qualify. Want to know if you qualify now? Contact an FHA lender now who will guide you through the qualification process. Next story What do Loan Limit Increases Mean for Me?